seems like the NA server is awarding 5x XP for your first win this weekend. Got 12k xp in one good match with my to US BB. Sadly when open comes xp gain will be nerfed hard. I imagine the same will happen with silver. Yup, they've said that cbt income and xp are inflated to allow for testing all tiers and the various modules you can buy for ships. Haven't played much but really enjoying it more than I did WoT. The bot combat probably helps, at least with the low tier battles. Yeah, I wish was co-op play against bots for WoT. It's a great feature to have. It's 5x XP for the first win per ship. I bought the 3 boat pack for $70. Not sure which are in it, since I haven't bothered to log in during beta. Want to keep it fresh so I don't burn out quite as quickly. I bought it and I'm satisfied with the purchase. I don't particularly like destroyer gameplay so 2 of the ships aren't as useful as I'd like. They do have the advantage that any captains can use them without penalty regardless of what sort of ship they're trained to use. Between the ships, the gold, and the early access my opinion is that it's well worth it. € 49,99 converts to $ 54,35 at the current rate. In my case it's cause they don't unlock other ships and I'm still unlocking the other ship types. I did just unlock the rank that gives you the Free Experience perk, though, so I may start playing those ships to see what they are like. Or if it's a overpowered monster like the pac40. I heard this game was full of autolock/auto find hacks. That true? 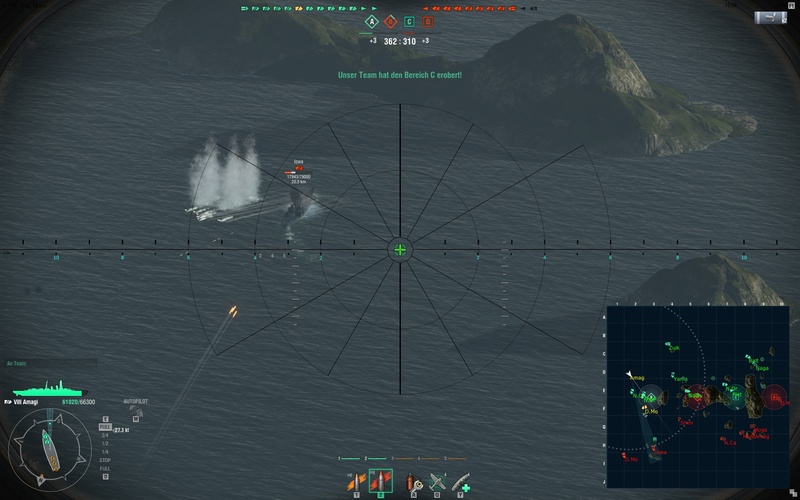 There was a "lead prediction aim bot assist" that showed you where to aim (mainly useful for battleships) - assuming the target doesn't change course. A patch two weeks ago supposedly encrypted the scripting part of the game to prevent this. Whether some inventive Russians already circumvented this with a new version I can't tell as I don't go looking for such things. The aim bot-complaints on the forum have stopped for now at least. Edit: Corrected as by Trippy. World of Warships like World of Tanks is moddable and Wargaming.net originally they said mods like these were fine but they've apparently changed their minds. It'll be interesting to see if they do something similar with WoT. Some of those mods seem really OP. Oh yes, there is another, so far legal, mod that unlocks the camera birds-eye-view. I tried it once and it's quite an advantage for aiming and allows shots over islands that would normally be impossible. I hope they ban it, else it might become a "must have mod". Looks like the arty camera mod, which can't really be banned, seeing that Wargaming gave the coders of the mod the Wargaming Developers award -for it-. It's been around since alpha. The original GUI used this overhead view as the primary view for shooting, but WG decided it wasn't as immersive as they wanted and changed to the binos view we have now. The mod makes it a little easier to shoot over islands but doesn't let you see anything that isn't already in view. Yeah, I don't see that mod making anywhere near as huge a difference as the arty mod does. That's like playing a whole different game. Well, I disagree. Mods that alter the camera to give an advantage are cheating. Those who use them are cheaters and should be banned! Anyway, something different: The default view on the ship is zoomed in rather close, which hinders situational awareness quite a bit. So I made a mod that alters the camera to provide a wider field of view. Should be an advantage when navigating between island groups for example. Default view stays unchanged, but now it's possible to zoom out another step. It seems the step from closed to open beta is imminent™ soon™. The Asia region was informed about an incoming account wipe. I like the beta reward ship choice. Between it and the Sims my US training ship needs will be covered. I think they still have significant work to do on balance, especially HE and fires but I'm ok with the transition to Open Beta since WG has a track record of continuing to develop and change games after release. Current WoT bears very little resemblance to what it looked like at release. Also there's another patch inbound 3.1.4 it buffs low tier US carriers, nerfs higher tier Japanese carriers and buffs AP. Patch note discussion from EU page in the spoiler. I haven't played for like 2 months. I think I played over 150 matches, but don't know if there was a wipe since. Would be great to get the reward ship... though I'm not sure I'll ever play this again. I'm waiting for the Graf Spee. 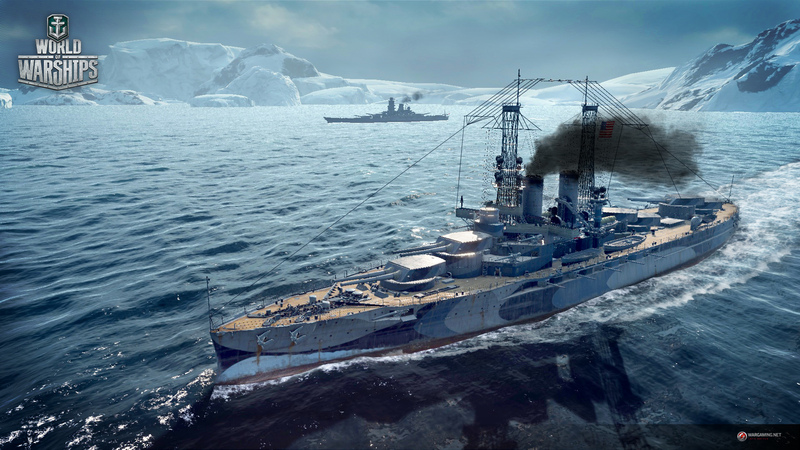 My guess for the order of introduction: Bismarck as premium ship (she already in the game files), Russian Navy with looots of fictive paper ships, Kriegsmarine, Royal Navy. What's that a direct result of the treaty of Versailles? 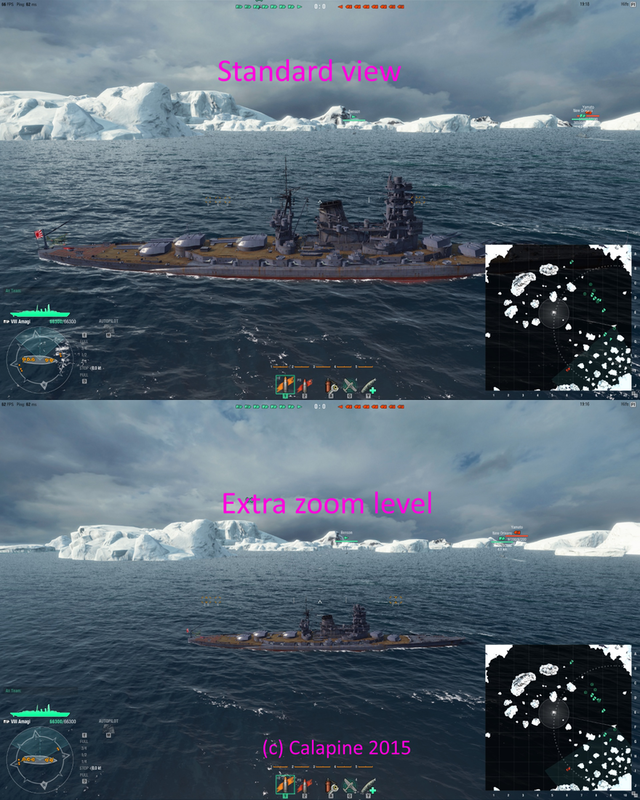 TOV: Germany shall have no battleships and nothing over x-tonnes! Yes it was, though Germany did go on to build real battleships like the Bismark mentioned above later on.